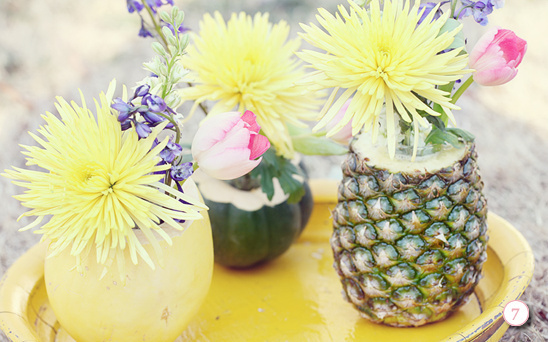 Anyone can make this simple and budget-friendly Do It Yourself Fresh Fruit and Flowers Centerpiece! 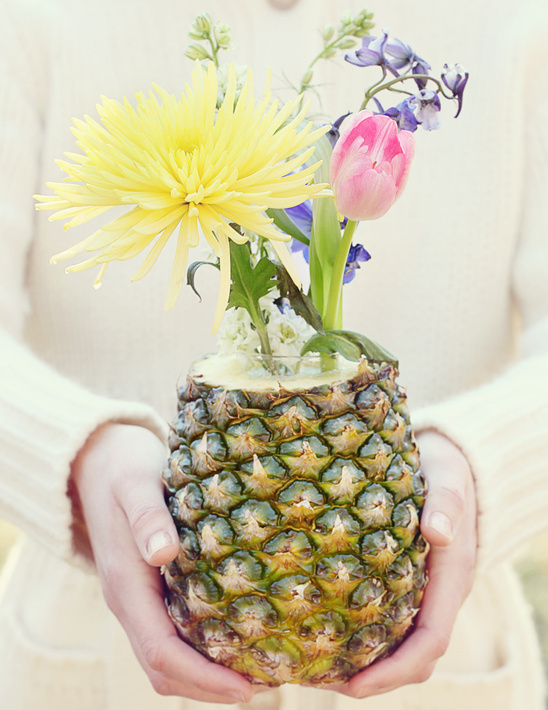 Use an assortment of fresh fruits and vegetables with mini bouquets to make pretty centerpieces. 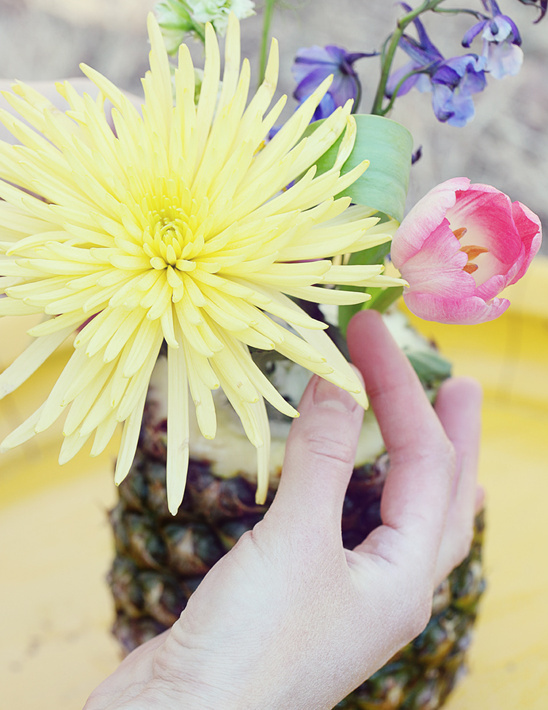 Our favorite turned out to be the fragrant pineapple bouquet! 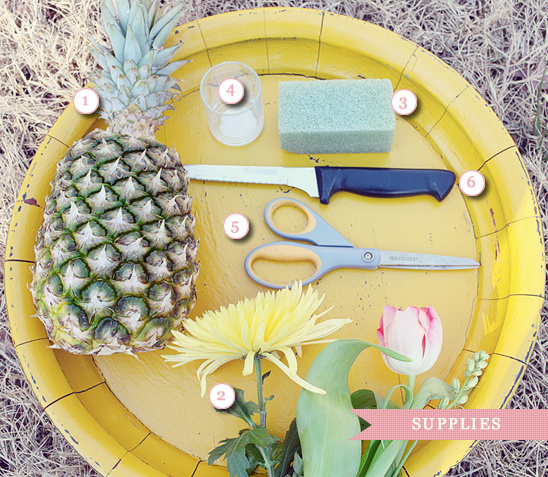 See other do-it-yourself wedding projects. Another way you can use these? Try nestling votive candles inside of the fruits and vegetables, instead of flowers. Super cute...right? 1. Select a large fruit or vegetable that will hold your variety of flowers. 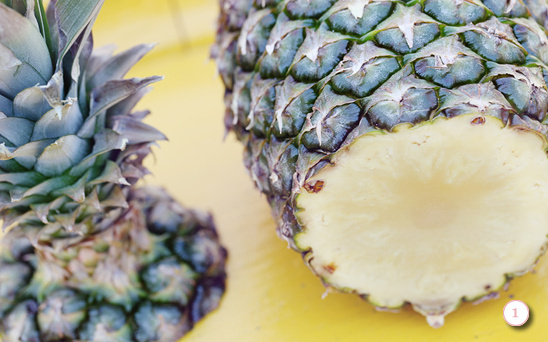 Cut the very top off of fruit or vegetable with a knife. 3. Carve a 3 inch round/deep opening in fruit or vegetable. 4. Carve floral foam to fit inside of votive holder. 5. 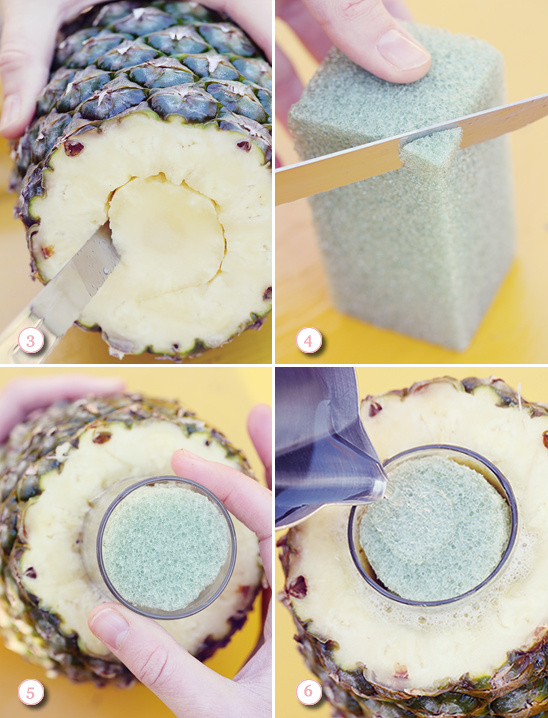 Put floral foam inside of votive holder and place into the fruit or vegetable opening. 6. Pour water into votive holder. 7. Snip the stems of flowers and arrange them however you like and stick them one by one into the foam. Thanks to Hilton Pittman Photography for being so creative. Be sure to check out all of our wedding DIYs here.